Join us for our Silver Tones’ annual concerts that benefit Senior Resource Association’s Meals on Wheels and Adult Day Care programs. Now more than 100 voices strong, this talented musical chorus performs three complimentary concerts at First Presbyterian Church in Vero Beach. Donations are appreciated. Arrive early for these popular concerts! 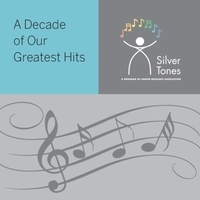 Click here to purchase the new Silver Tones’ CD: A Decade of Our Greatest Hits. Also available for purchase at each concert. our Main Office & each concert.